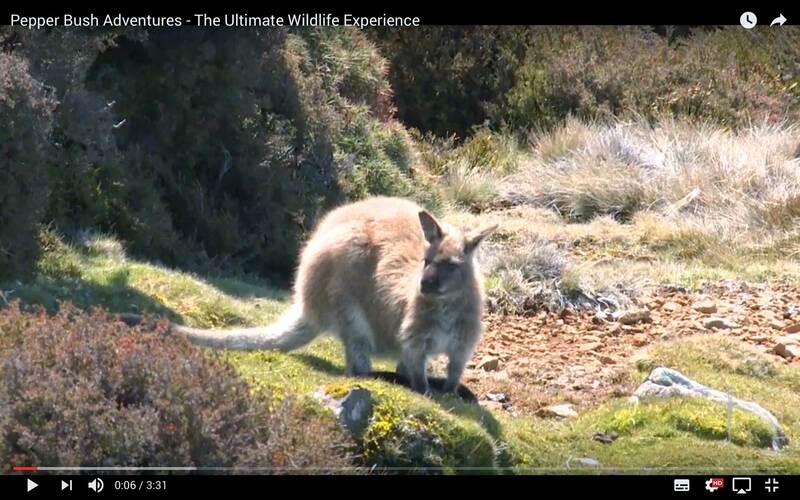 Premium Australian wildlife viewing tour – a day in the highland areas of north east Tasmania. Self-drive to Scottsdale or Pepper Bush Adventures transfer from Launceston to Scottsdale. Seasonal 12.00 – 2.00 pm departures from Scottsdale to visit Ben Lomond National Park, a spectacular mountain of dolerite columns and scree slopes. Impressive views and a stunning array of alpine vegetation on offer. Leaving Ben Lomond we travel via the Roses Tier for a forest discovery drive en route to the Tyne Valley for a campfire dinner with the forester kangaroos. Relax by the camp fire as our field of dreams comes alive with eastern quolls, brush-tail possums & Tasmanian pademelons all visiting the camp fire while Bennett’s wallaby & wombats graze close- by. After a Beulah Heritage country style breakfast we travel a short distance to the outskirts of Scottsdale to view the unique and fascinating platypus. Leaving the platypus, we continue to the Tamar Valley where we visit a variety of vineyards. Jansz Tasmania boasts the best bubbles in Tasmania and experience the rustic charm of Delamere Vineyard. Crossing the picturesque Tamar River we chase the reds and visit Holm Oak or Moores Hill for wine or whisky. Moving down the Tamar River we visit Tamar Ridge at Rosevears Estate before lunch at the Velo Vineyard Timbre Kitchen Restaurant. Capture the timeless ambience of Tasmania’s bush. Listen to the afternoon sounds of the bush chorus from nearby birds, enjoy a campfire dinner and a nocturnal walk in the forest to see and hear the brushtail & ringtail possums, pademelon & Bennett’s wallabies and bettongs go about their nightly business.